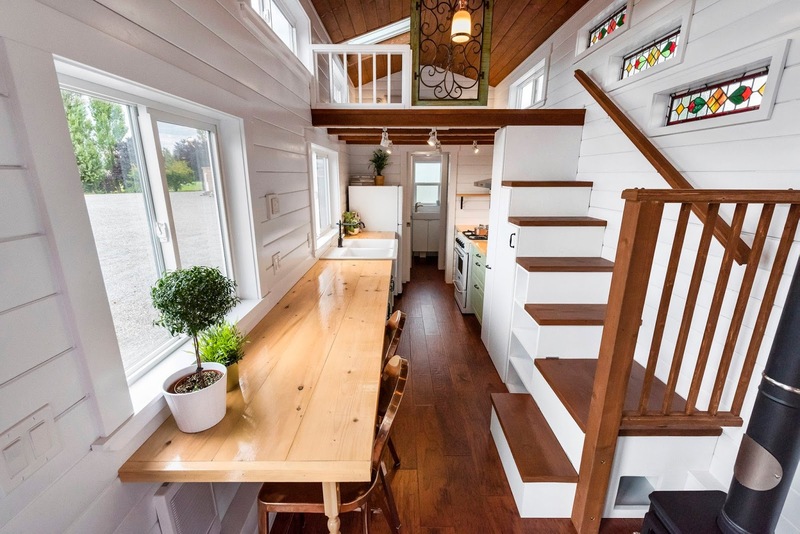 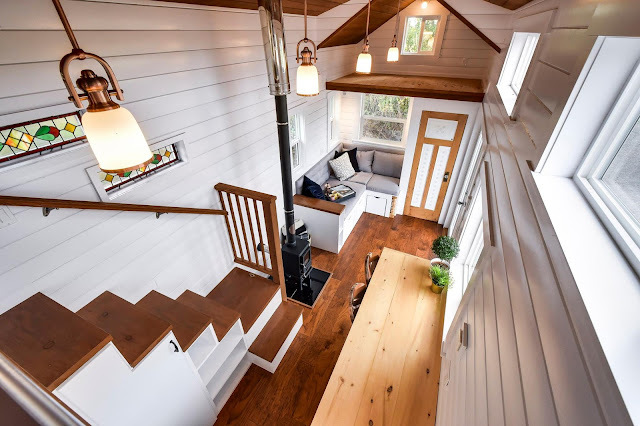 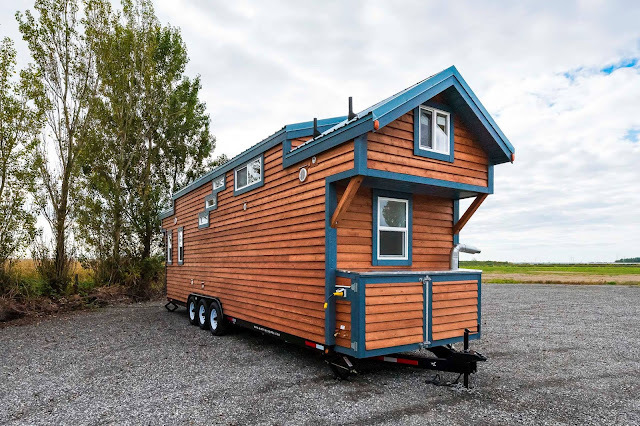 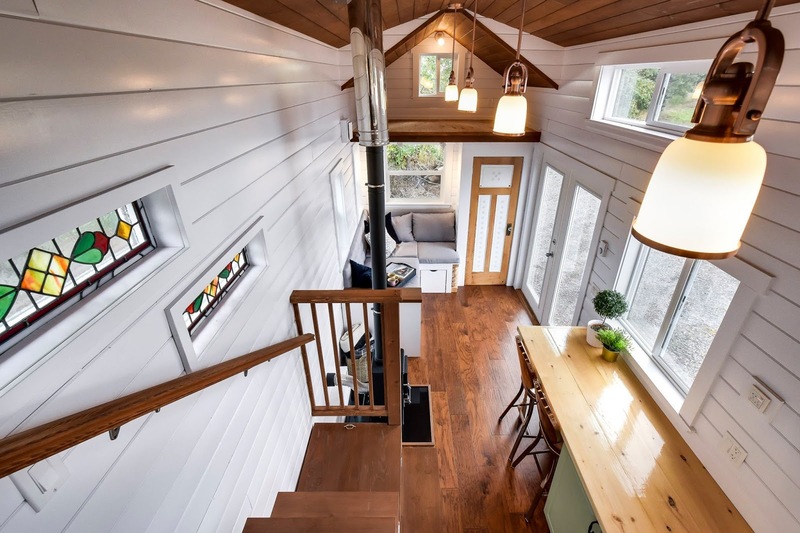 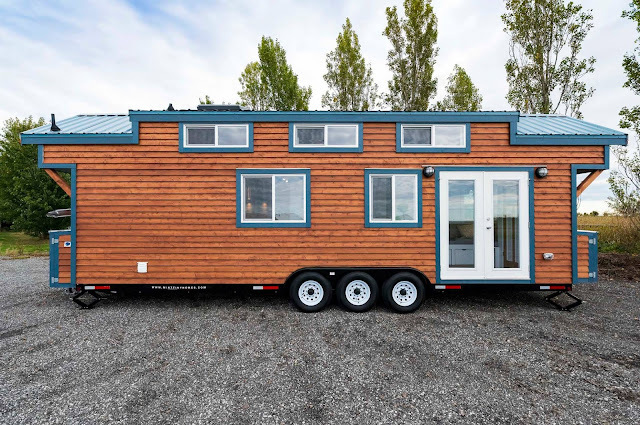 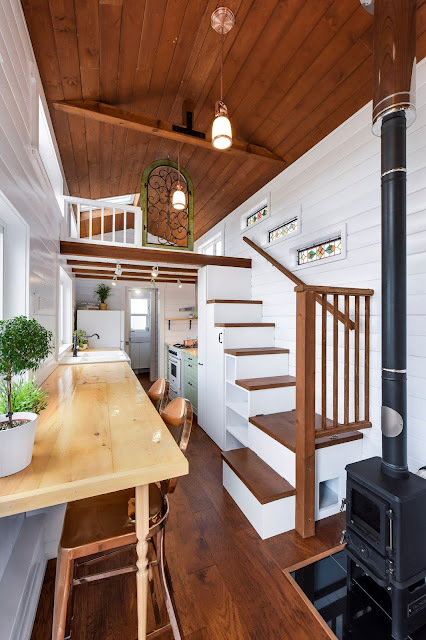 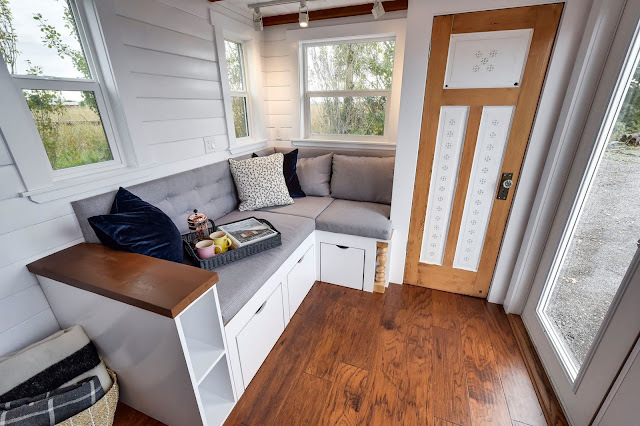 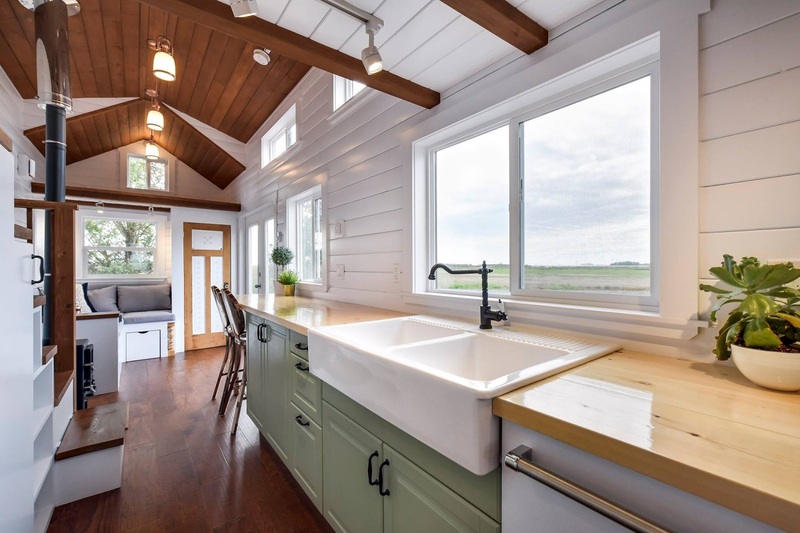 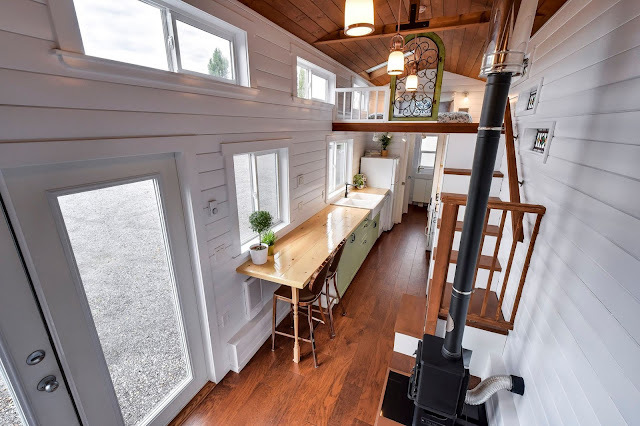 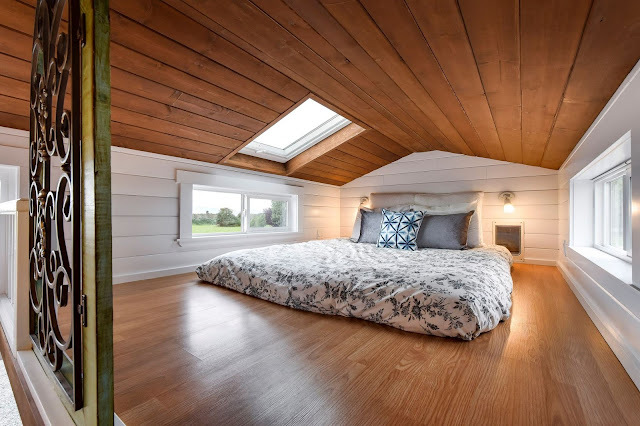 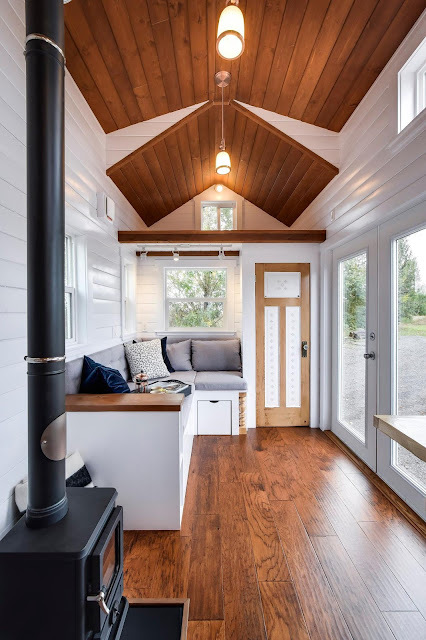 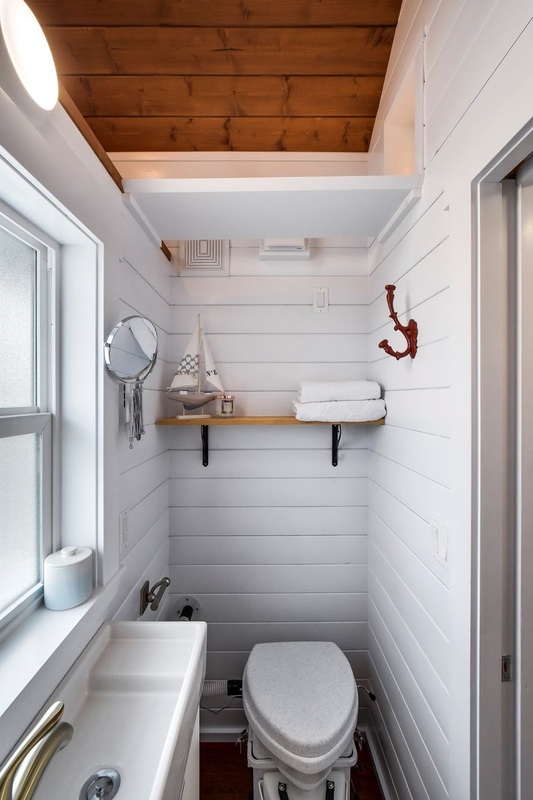 This gorgeous 30' tiny house is a custom build from the Mint Tiny House Company of Delta, British Columbia. 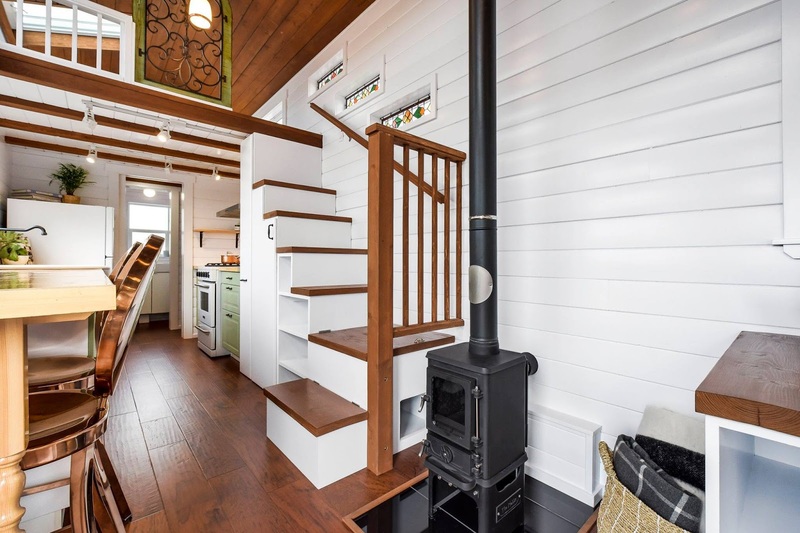 The home is perfect for year round living and even has a wood burning stove to keep you snug in the colder months! 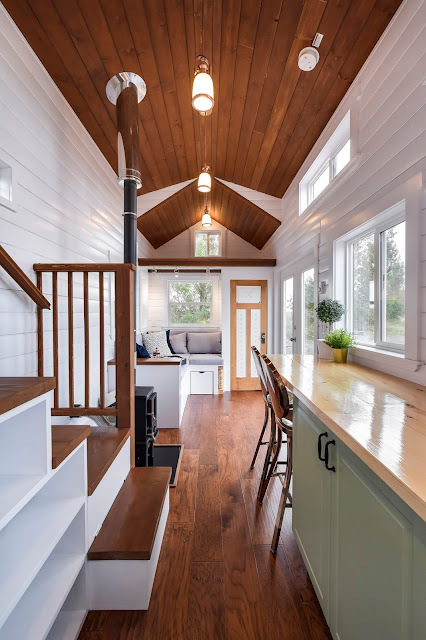 Its interior features vaulted ceilings, a corner nook sofa with storage underneath, a loft bedroom, a storage loft, and a bathroom. 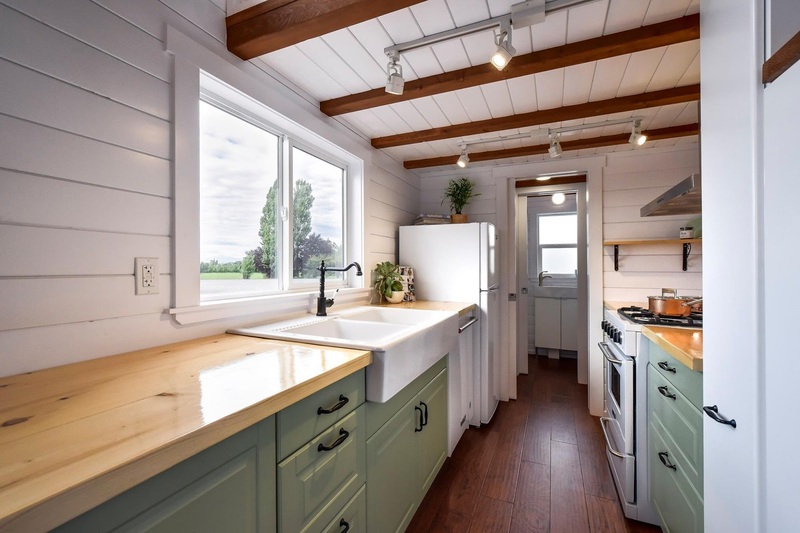 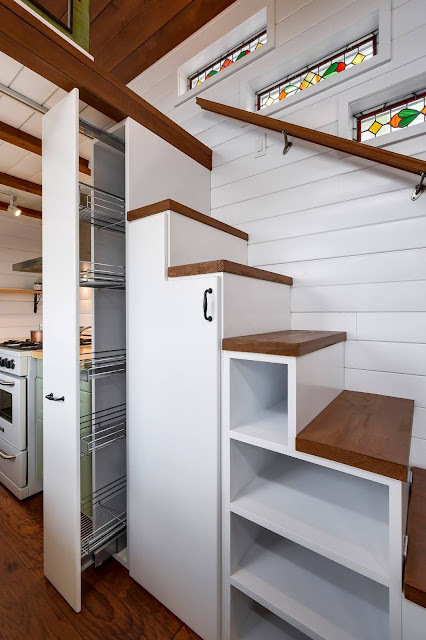 There's also a kitchen with a double ceramic sink, bar-style dining for two, and full-sized appliances including a fridge, propane oven, and a dishwasher. 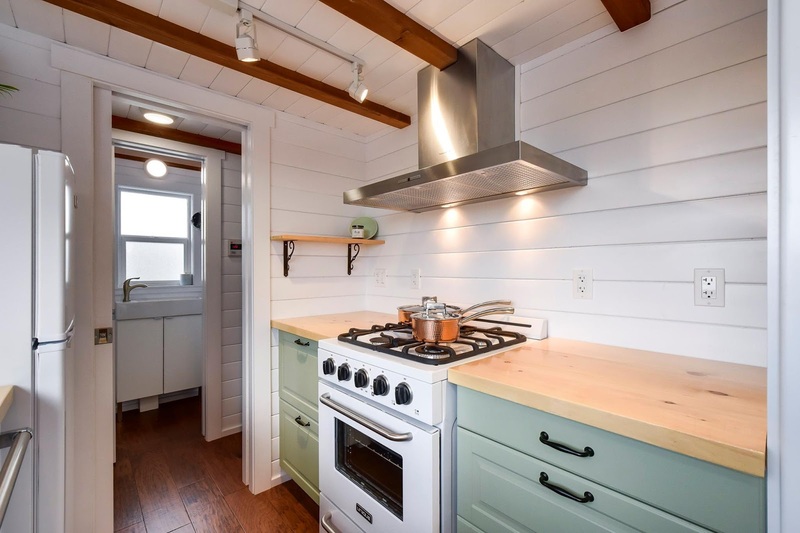 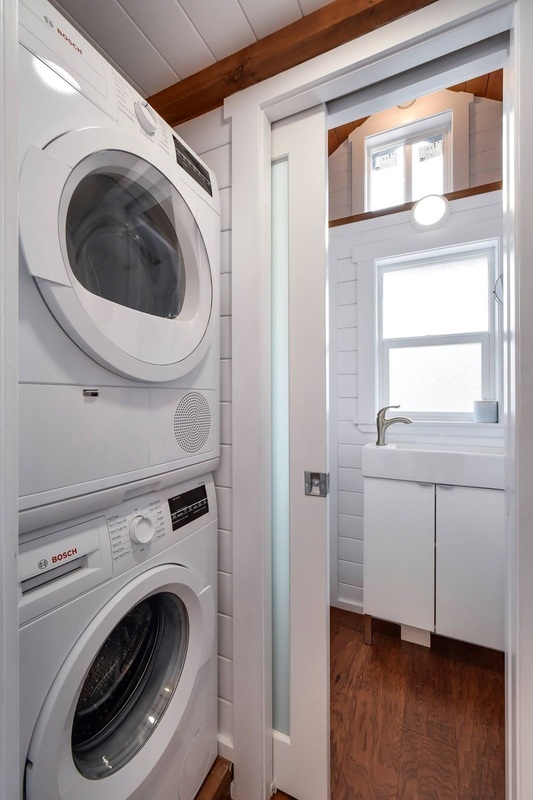 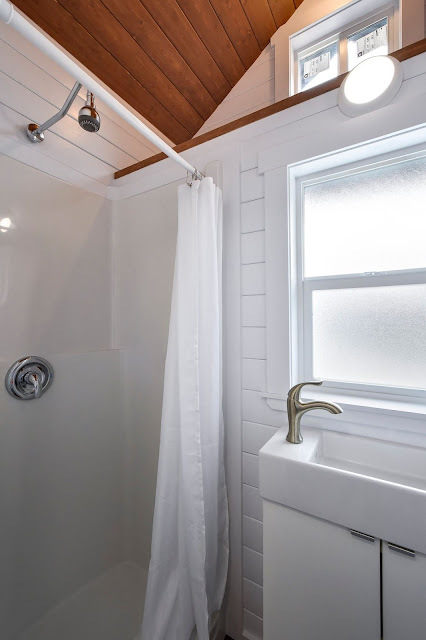 For more information and/or inquiries on this home, contact Mint Tiny House Company here!